in front of you. These environments are palatable, and cast a dark shade on the retail experience that you have worked so hard to build. Thinking beyond the graphics, your brand encompasses everything you are putting out into the world- that includes bad and good vibes. When you think about retail stores that provide a great customer environment Trader Joe's is always up on that list. 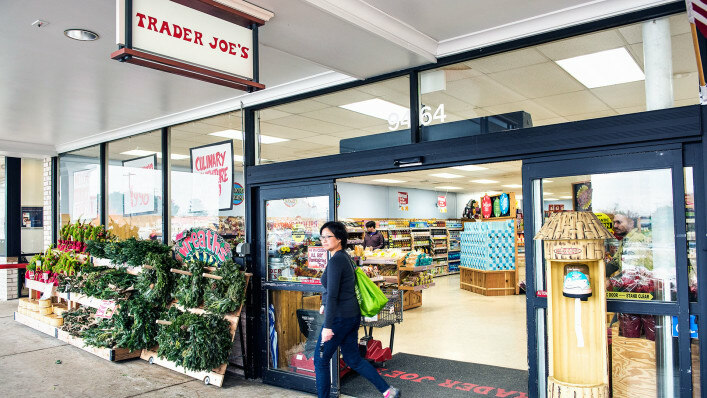 A recent article points out that the always friendly staff at Trader Joe's is actually a reflection of the company’s management style. Here are a few key takeaways that can be implemented to help improve your retail environment. At Vivid we take a holistic approach to maintaining your brand standards. From the initial design through manufacturing, Vivid is focused on brand quality control to ensure the best customer experience at the store level. Work with Vivid to see the how we think beyond printing.